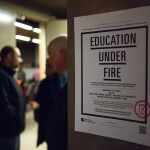 Panel speakers discuss Education Under Fire. 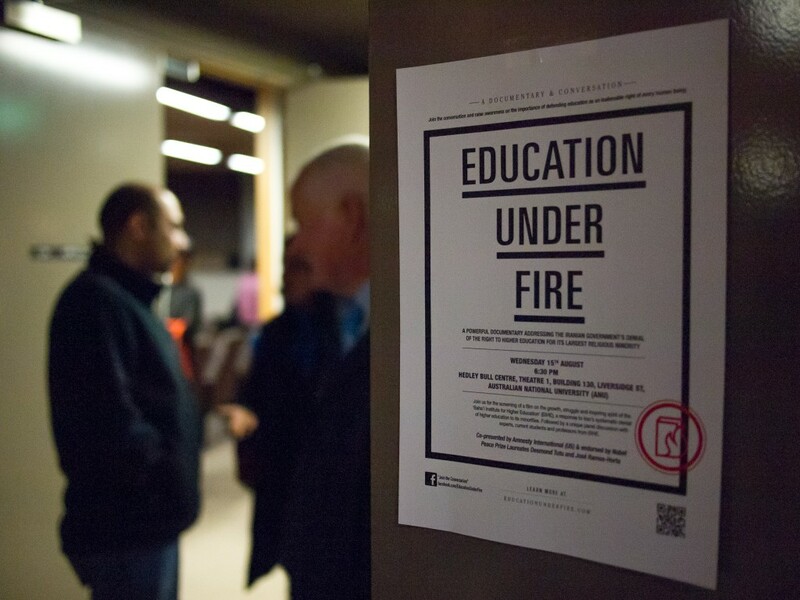 Canberra, 16th August– An audience of some 80 people assembled at the Australian National University to view a documentary film entitled “Education Under Fire”, which was c0-sponsored by Amnesty International. The 30-minute documentary profiles the growth, struggle, and inspiring spirit of the Baha´i Institute for Higher Education (BIHE). Baha´is in Iran have been subjected to systematic persecution, including arrests, torture and execution simply for refusing to recant their beliefs. They are also prohibited from going to college (and blocked from many professions). 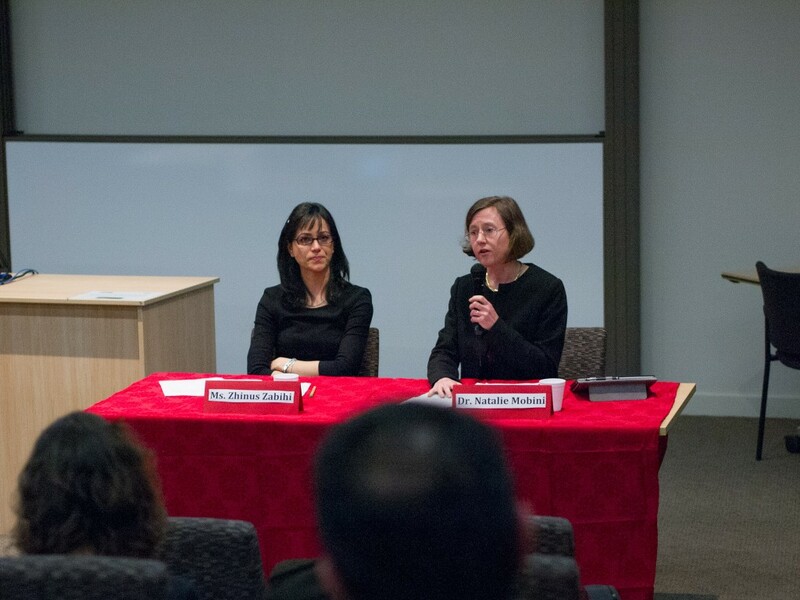 The screening of the film and the panel discussion after it were organized by the Bahá’í Society of ANU, along with the support of the Office of External Affairs of the Australian Baha’i community. and the International Law Society of ANU. 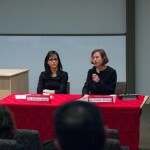 Similar events have been held around the world on university campuses and in other locations to raise awareness of the current situation facing the Bahá’í Institute of Higher Education. The speakers on the panel were Dr. Natalie Mobini representing the Baha’i Office of External Affairs, and BIHE alumni Zhinus. Dr Mobini outlined the history of the denial in Iran to Baha’is and other religious minorities of the basic human right to education and she also explained how this was occurring in the larger context of the sustained persecution of the Bahá’ís of Iran. Zhinus shared personal insights into her experience as a student at BIHE, as well as the current struggles her family faces today in Iran. Her account of the difficulties she and others have faced brought home the reality of the situation and the fact that this injustice was immediate and ongoing. Many in the audience were visibly touched by the film and discussion and suggested ideas for possible avenues of support as well as almost unanimous support for the signing of an open letter addressed to the Iranian government. One of the aims of the campaign, also entitled “Education Under Fire”, is to start an ongoing conversation regarding this issue and to take action to bring awareness of it to others. • Read and share the Nobel laureates’ letter. arrest of the seven sentenced educators. action points called for by the Nobel laureates in your communities and schools. • Write articles about the right to education in the press, blogs, and school newspapers. • Post EUF items and news to Facebook, Twitter, and other social media. Poster advertising the screening of the documentary.